SERVPRO of Lincoln & Polk Counties is proud to be part of the 1,700 plus other SERVPRO franchises nationwide. We are locally owned and operated as well as community strong. Our teams live where they work. Our franchise is available 24 hours a day, 365 days a year and at the ready when you find yourself in need of a trusted restoration company. We are your local Lincoln & Polk Counties restoration company for fire, water, mold damage. Call us today for an inspection, estimate or immediate emergency services (541) 265-7777. We will make it “Like it never even happened." SERVPRO of Lincoln & Polk Counties is on your side. SERVPRO® of Lincoln & Polk Counties uses advanced technology and state-of-the-art equipment to turn your loss around. We have specialized equipment designated per category of loss. Our warehouse holds enough equipment to maintain and restore a hotel with a 45-room water loss. 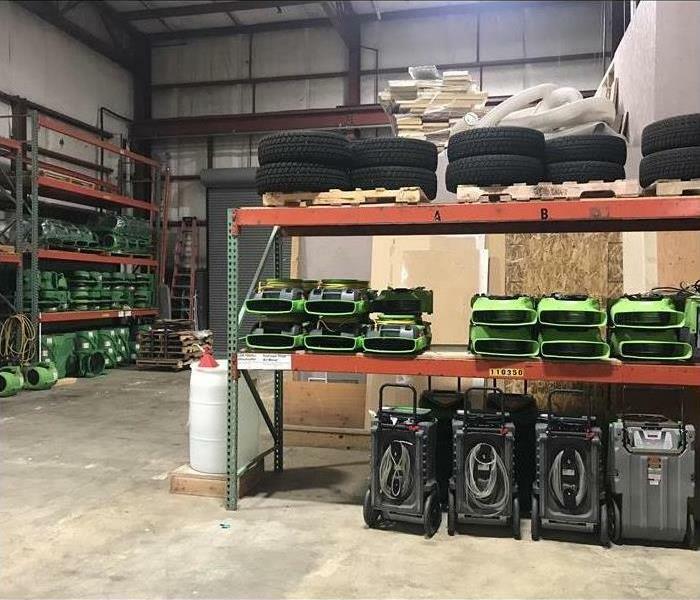 Not only does our warehouse contain equipment for large water losses, it also houses the various cleaning products produced by and are SERVPRO® certified. Additionally, we have various materials such as dry sponges used to remove smoke reside after your property has suffered a fire. There are a multitude of equipment used to restore your property to like new condition that your typical cleansers and cleaning materials can not handle. SERVPRO® of Lincoln & Polk Counties is available 24/7/365 to serve our customers. We are a highly trained water, fire, mold and biohazard restoration company with many services not typically covered by other restoration companies. Call us today for your cleaning and restoration needs (541) 265-7777. According to the National Weather Service, the Oregon Coast can experience “dangerously high surfs” this week (12/17-12/21). Living in Lincoln City or Newport, Oregon brings the possibility of flooding due to high surf and torrential rain. Residents living on or near the Pacific Ocean are at higher risk of experiences water damage due to these possibilities. Are you prepared? Do you have your storm kits ready or sand bags? Storm season on the Oregon Coast causes flooding which leads to standing water that causes varying levels of water damage. SERVPRO® of Lincoln & Polk Counties has emergency services around the clock 24/7/365. Holiday seasons bring cheer and warmth when family gathers for good food and memories. Turkey, mashed potatoes, sweet potatoes, cranberry sauce and so much more fill the table and the air. How do you cook your turkey? The popular way is outdoors using a turkey fryer, but do you know how to operate the fryer properly? Here are the do’s and don’ts of frying your turkey for the holiday. ONLY use a turkey that has completely thawed. Make sure the surface you are placing the fryer on is level and at least 10 feet away from any flammable materials, including buildings. Follow the instruction manual when using the fryer, paying close attention to the amount of to use. Frequently use and monitor the oil temperature with the appropriate thermometer. NEVER use a frozen turkey. Do not overfill the fryer with oil. If the oil spills over and touches the heating element/flame it will combust and can possibly cause serious harm to an individual or the surroundings. NEVER use water to extinguish an oil fire. This will cause the fire to splatter and spread. We all want to enjoy our holiday time with friends and family, eating amazing food and creating new memories. 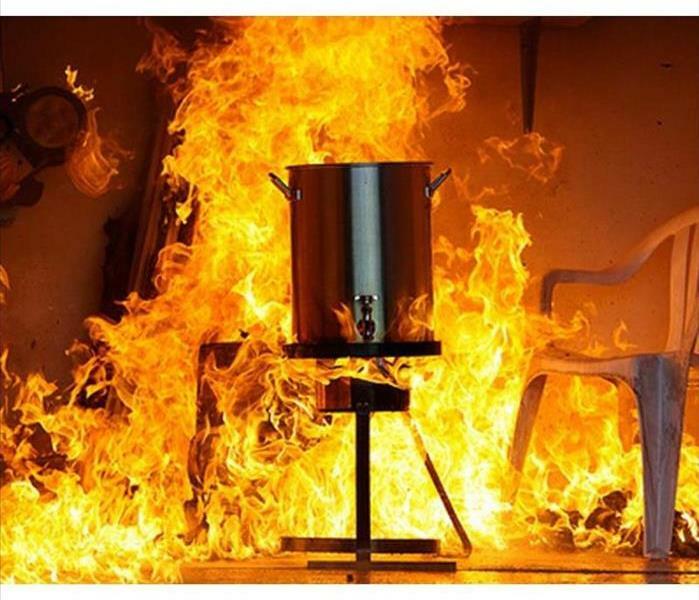 Safety is very important when you decide how to cook your turkey, whether it be in the over or outdoors in a turkey fryer. No one ever wants an unexpected visit from their local fire department. In any case of fire when you are left with residual damage to your property SERVPRO® of Lincoln & Polk Counties is on the job. Any time of day or night, holiday or not we have teams to dispatch in your time of need. Call us at (541) 265-7777. Approximately 1 in 5 homes will suffer some form of water damage during frigid temperatures. The leading cause is frozen pipes not properly insulated. No matter the age of your home, before the cold weather strikes make sure to inspect your pipes. Catching the problem before it becomes a disaster will save your money and stress. We all know that the freezing temperature is 32 degrees Fahrenheit and if your pipes are not properly insulated, it can take only a few minutes for the water to freeze completely. If you find yourself with frozen pipes DO NOT use hot water! This will cause the pipe to burst from the sudden temperature change. During extreme cold temperatures it is best to maintain a slow drip from your water faucets. This will keep the water running and less likely to freeze. Standing water freezes faster because there is no movement. When you keep your faucets open you will be less likely to have a water disaster. Broken pipes can cause varying degrees of water damage in your home or business. Make sure to take precautionary steps to limit the chance of damage. SERVPRO® of Lincoln & Polk Counties is ready to go if your home or business is under a water attack (internal or external). We operate 365 days a year, 24 hours a day and 7 days a week. We are there for any size job! 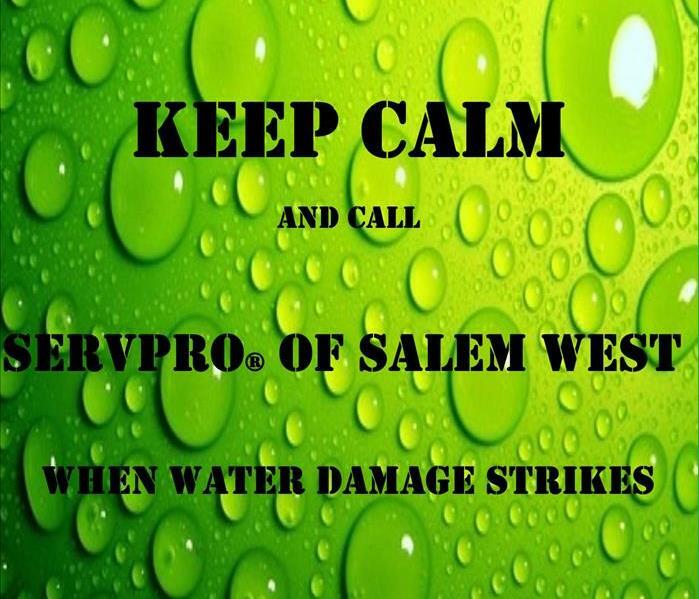 Call us (541) 265-7777 during or after a water disaster and we will restore your property quickly. According to the Seasonal Climate Forecast Newport, Oregon and its surrounding areas can expect to have an El Nino winter, warmer than normal. From “above-average cloud cover” leading to slightly warmer temperatures in November and December we can expect more rain than snow. Heavy amounts of rain can lead to varying degrees of water damage. Don't turn on ceiling fixtures if ceiling is wet and keep out of rooms where ceilings are sagging. For more information regarding water damage click here. SERVPRO® of Lincoln & Polk Counties is your first call for fire, water, mold, biohazard and specialty cleaning services and restoration (541) 265-7777. Where your items are securely stored and restored. Jessica, our Contents Manager will go above and beyond your expectations to recover and restore your property. Whether it is in-house cleaning or sending it to a specialist, Jessica and her team do amazing jobs. Content management can be a tedious task, but can set you, our customer back with emotions and concerns about your property. Rest assured we handle your contents with care and precision knowing they are sentimental to you and yours. When necessary, our team will safely pack up your property using the appropriate material per item. 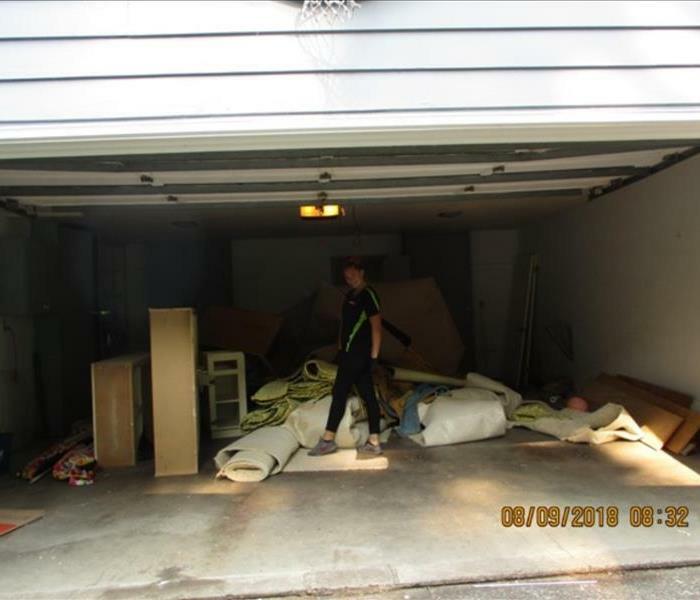 Typically, when the damage is significant enough to render remodeling such as dry wall needing replacement or flooring that is when our team will go in and protect your contents. 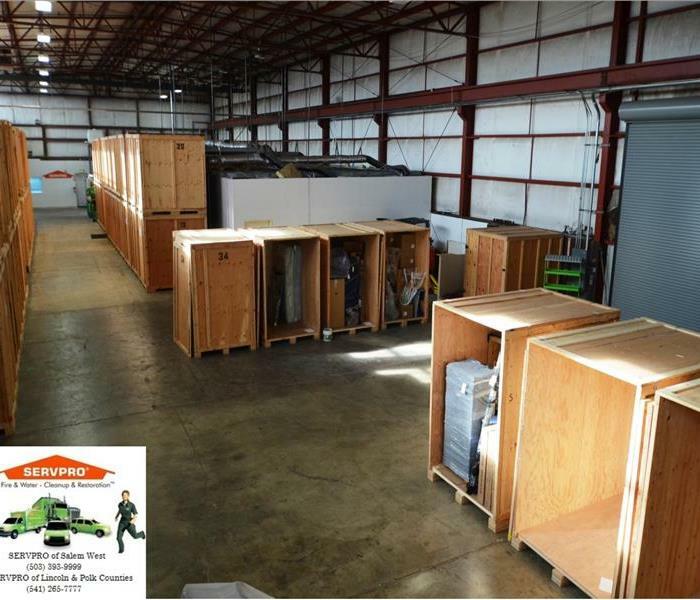 Your contents are then safely stored the SERVPRO® of Lincoln & Polk Counties facility. After your contents have safely arrived at our facility, the cleaning process begins on the items that have been damaged. Items that did not sustain damage are placed in a storage unit and labels appropriately. Our team then works on drying wet items, removing odors as well as simple wipe downs. Contents that have sustained a significant amount of damage are handled with extreme care by our highly trained restoration crew. If any contents are beyond restoration, they are classified as unsalvageable. When that occurs, Jessica will communicate to you and your adjuster to see what the next steps are under your insurance coverage. Finally, once the restoration process is complete and your home or business is back to preloss condition it is time to return your contents. Not only do we repack your contents after cleaning, but we unpack and place the items in their original positions. 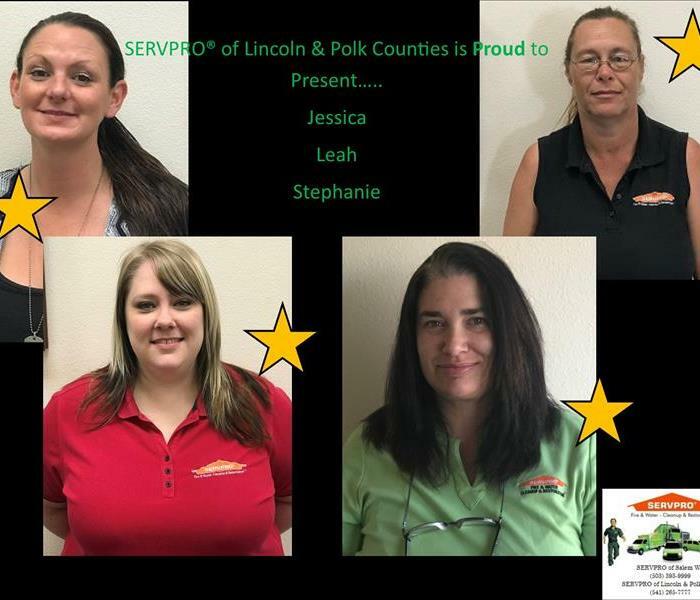 As your local SERVPRO® of Lincoln & Polk Counties, we strive for excellence with our customers as well as our employees. We offer many services that can often save you money and the hassle of subcontracting to a moving company. We are here 24/7/365, including holidays, to better serve our community and customers in their time of need. Call us with concerns or questions (541) 265-7777. Compassionate and full of smiles to help you cope. SERVPRO® of Lincoln & Polk Counties takes pride in our ability to greet, calm and assist you when you are faced with a fire or water disaster. Not only a disaster but the residual effect from the disaster. Our amazing office team, Stephanie, Jessica, Melinda and Leah are here to take your phone calls. Whether you are calling about an initial loss, an ongoing loss or an emergency call our team will walk you through our informational process, gathering insurance information and answer any questions you may have. Via telephone and in person our goal is to make sure you, our customer, understand our services and schedule with you accordingly. Our ladies make connections with your insurance agent or adjuster to discuss a plan to restore your home or business to preloss condition. When they receive a call from you, rest assured that our ladies will take care of you from start to finish and communicate updates and scheduling. If you are faced with a damage from a disaster call your local SERVPRO® of Lincoln & Polk Counties (541) 265-7777. We have your back. We work hard and enjoy every minute of it. SERVPRO® of Lincoln & Polk Counties joined the Salem and surrounding area community in September of 1997. We have a standing A+ rating with the a Better Business Bureau and have kept that rating since 2003 when we became accredited with the BBB. There are 25+ amazing employees, 5 of those employees are U.S. Veterans. Our technicians work 24 hours a day, 7 days a week, 365 days a year. YES, that does include holidays. We have highly trained technicians and advanced technology to service your needs after fire or water damage. Our technicians get down and dirty in crawl spaces, up in attics, cleaning properties that have biohazard conditions, and so much more. Our Special Cleaning Services technicians work on both residential and commercial properties. They clean anything from carpets to upholstery to your ducts & HVAC to vandalism & graffiti. Mold is never a fun fungus to experience, with our professional cleaning products we can remediate the mold in your home or business. We work hand in hand with your insurance agent and adjuster when a claim has been filed. We also have many customers that self-pay for services. Afraid of where your personal property can be stored? We have secure vaults on site for your property and clean items that were damaged from the disaster. No job is too small or too large for SERVPRO® of Lincoln & Polk Counties. We are part of your community, here to serve you and we are proud to be here. If you ever find yourself in need of a professional company to help you through your crisis, remember to call SERVPRO® of Lincoln & Polk Counties 24/7/365 (541) 265-7777. From board ups to crew safety to clean up and restore, we do it all. SERVPRO® takes your property from a fire loss and revitalizes it. In the event of a fire or fire related disaster you will want to contact your insurance company and create a plan with your agent or adjuster. By doing this, you will have an understanding what is covered and not. SERVPRO® of Lincoln and Polk Counties works with our customers, their agents and adjusters. SERVPRO® is a fire restoration company that can restore, clean and monitor your property. Our company uses various methods to clean and restore your property and contents. When you see the green vehicles roll up that means you have put your trust in your local team at SERVPRO® of Lincoln and Polk Counties. Our top priorities are to access and prevent further damage to the property and contents and to prepare and maintain the safety aspects for our customer(s) and team(s). Inspect and evaluate the loss site by conducting an initial inspection. Secure the property by boarding up any points of access (i.e. windows, doors, etc.). Use proper equipment to dry the remaining water and moisture used to suppress the fire. Set up and possibly use outside resources for emergency electricity use. Remove strong odors from the structure to keep our team(s) safe. Conduct the initial cleaning and packing up contents and moving them to a secure location while our customer(s) find temporary housing. If necessary, conducting pest extermination. Don’t attempt to wash the wall of the structure. Don’t attempt to clean the carpet or upholstered furniture. Do use linens or materials that will not bleed color onto furniture and carpets to decrease further damage. Do limit walking around or moving objects and furniture. Do keep your hands clean. By doing so you will lessen the chances of transferring soot particles to surfaces. Do turn the electricity off. Empty the freezer and fridge while propping the doors open to limit odors. Do carefully clean chrome fixtures in the kitchen and bathrooms with a light coating of lubricant. Don’t send clothing or materials affected by the fire to a dry cleaner. Do wash all sides of plants with water. Do change furnace filters and tape pieces of cheesecloth over air registers. This will allow the HVAC system to run and clean itself without adding further residue inside the structure. 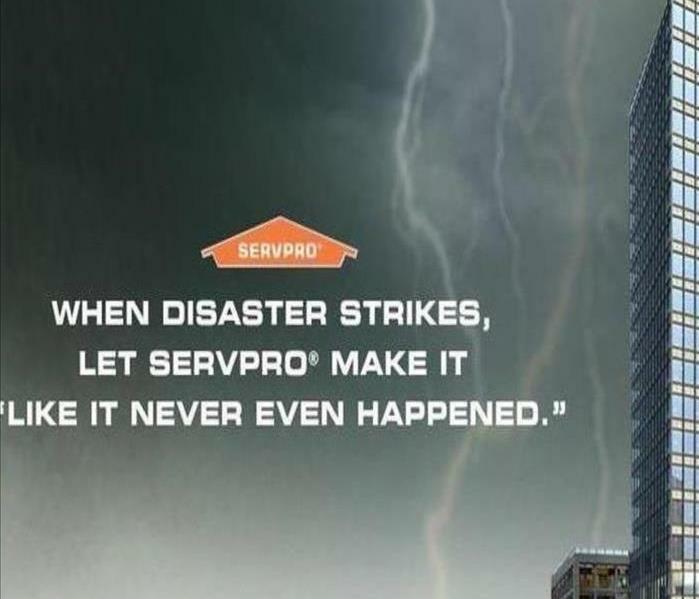 You can find more information regarding SERVPRO®’s fire restoration process HERE. Day or night, SERVPRO® of Lincoln and Polk Counties is available to lend a hand after a disaster. Call us at (541) 265-7777 if you have questions or concerns.